Performing any kind of surgery on the brain is already a tremendously difficult procedure, but removing only cancerous tissue is even more of a challenge because it’s very difficult to visually distinguish the good brain from the bad. But what if the scalpel in a surgeon’s hand could tell the difference between the two? 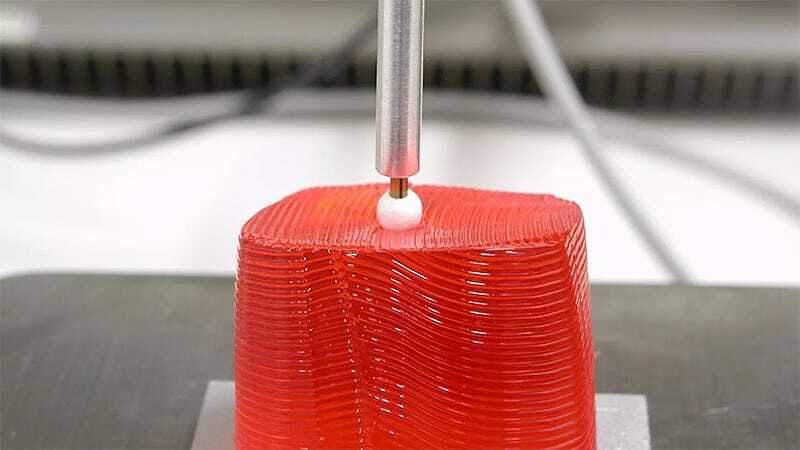 Researchers and engineers at the University of Hannover in Germany, and the Free University of Brussels in Belgium, have developed a smart scalpel that uses piezoelectric transducers on its tip to quickly tell if brain tissue is healthy or not. It takes the modified scalpel, which looks like it has a miniature ping-pong ball on the end, just 400 milliseconds to distinguish between healthy brain tissue and the cancerous stuff using a very clever test. That tiny white sphere vibrates at an imperceptible rate causing any tissue it touches to vibrate as well. Cancerous tissue vibrates at a much different rate than healthy parts of the brain. The scalpel can distinguish between the different vibrations, and immediately provide both audio and visual feedback to the surgeon who’s wielding it. You know that terrible sound and feeling when you accidentally touch the wrong thing when playing Operation? To a surgeon that might instead instill confidence that they’ve found exactly the part of the brain that needs to be removed in order to save a patient’s life. The scalpel and the technology supporting it have been in development for over six years now, and its creators are now confident that it’s almost ready for human trials. Given the simple approach it uses to spot cancerous tissue, it could be easily adapted for other parts of the body, and even miniaturized for spotting and removing cancers in hard-to-reach areas like the intestines.